Highly experienced in positioning premium brands in the print and digital space, Edit’d is uniquely placed to help shape strategy and align your story across all communication platforms. We spend the time to understand what makes your brand tick and clarify who your customer is and what they are looking for. That way we are able to marry meaningful connections – creating a holistic brand strategy that is clearly aligned with your values and your customer’s needs. Our expertise in creating inspiring, world-class content in terms of design, visuals, text and tone of voice is delivered through a network of creative talent. Concentrating on areas where there is depth of experience across lifestyle topics which include interiors and architecture, homewares, retail, fashion and food, Edit’d brings an unrivalled combination of editorial know-how and commercial acumen. We understand deeply the value of well-targeted content – both written, visual and aural – alongside the mechanics of the media landscape. In today’s fast-moving and competitive world, we take an honest and straightforward approach to defining your brand, shaping its message and helping it grow. Karen McCartney is best known for her work in the world of interiors, architecture and design across print and digital media (editing marie claire lifestyle and Inside Out magazines) and more recently as the editorial director of Temple & Webster, driving their award-winning blog. As editorial director (lifestyle) of News Corp Australia she led a major initiative to increase the appeal to female audiences, across all brands and content, spearheading the digital play for body+soul, a website to complement the successful health and wellbeing brand. She is currently Belle’s architecture editor and has produced a book in collaboration with Bauer Books, alongside a collaborative book with celebrated landscape designer William Dangar and her own interior’s book The Alchemy of Things (Murdoch Books). Karen has a weekly design column in Good Weekend in the Sydney Morning Herald and in Melbourne’s The Age. She has also worked with a number of prestigious agencies and clients including Frost* Collective, coolgrayseven NYC, Colvin Communications, Sydney Living Museums and worked on branding with Dangar Barin Smith, Robert Plumb, Briony Fitzgerald Design, Daniel Boddam Architect, Rob Mills Architects & Interiors, The Natural Bedding Company. Jayne Ferguson is a senior director with over 30 years of commercial, strategic and operational experience across international media organisations. Equally at home in commercial and creative environments, she is accomplished in leading multi-platform brands in the fields of lifestyle, luxury, mass and niche markets. Jayne has proven strength in creating and implementing strategies for business growth, and has expertise in developing brands, new products and additional revenue streams. 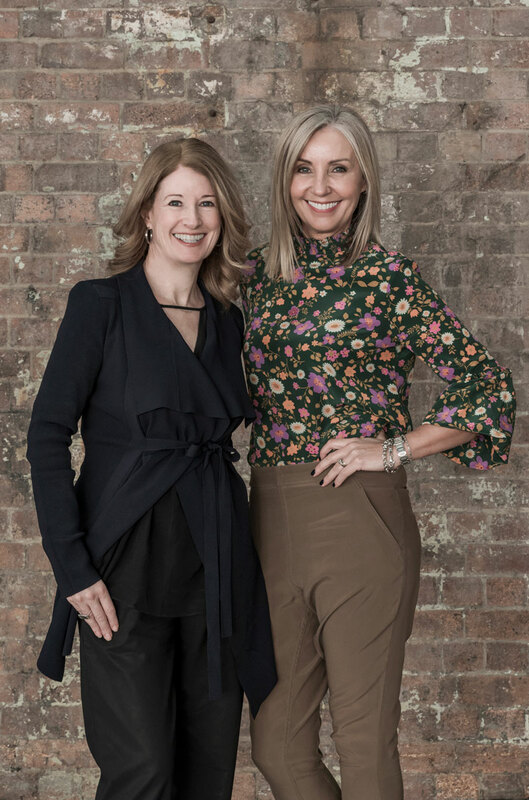 In her most recent position as General Manager of Women’s Lifestyle and Entertainment at Bauer Media, Jayne managed a portfolio of some of the country’s biggest multi-platform brands which included the iconic Australian Women’s Weekly. Spearheading digital innovation Jayne was the joint lead in the creation of a major digital network and advertising offer for Australian women. She is a great communicator with an engaging and collaborative style, a sense of humour and a willingness to understand and grow brands at all stages of their development. With a strong background in lifestyle content we understand the consumer as much as we know how to unlock the stories within your brand. We know what matters to your audience, what they care about and what engages them. We will craft original content that shines a light on your brand. Not only do we have access to Australia’s best creative talent, across a network of writers, photographers, stylists, web designers and videographers, but we understand how to tailor the right team to the right client and budget. Partner with Edit’d and we can collaborate to bring people closer to your brand. We will develop your strategy, engage your target audience and increase your brand awareness in the way that works best for your personality and your business. interiors and architecture, design retail, fashion and food, Edit’d brings an unrivalled combination of editorial know-how and commercial acumen. We will work to understand your business from the ground up – the pain points, the objectives, and your ambitions, to get a sense of what is possible. Following the discovery stage we will look at your customers, the market and the opportunity and present strategic solutions and creative ideas. We will act as a filter to ensure the quality of all content, its creativity, market appropriateness and guarantee that it meets the strategy. Review the mix of channels to share your story.